Noelle Kocot is the author of six books of poetry, most recently Soul in Space (Wave Books, 2013). Her other books are 4 (Four Way Books, 2001), The Raving Fortune (Four Way, 2004), Poem for the End of Time and Other Poems (Wave, 2006), Sunny Wednesday (Wave, 2009) and The Bigger World (Wave, 2011). Kocot has also translated some of the poems of Tristan Corbière from the French, which appear in Poet by Default (Wave, 2011). 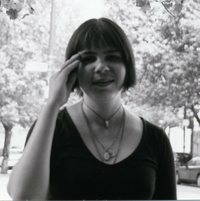 Her work has been included in three editions of Best American Poetry and The Norton Anthology of Postmodern American Poetry, among other anthologies. She has received awards from The National Endowment for the Arts, The Fund for Poetry, The Academy of American Poets and the Lannan Literary Foundation, among others. Kocot lives in the wilds of New Jersey and teaches writing in New York City. We went Behind the Sestina with Kocot to discuss her poem, “Why We Go to Couple’s Counseling,” featured in The Incredible Sestina Anthology. I discovered the sestina when I was 16. My English teacher, the late Carol Ann Kiyak, suggested I write one. She told me how to write it, but didn’t give me any samples, and I wrote a bunch. A year and a half later, on the English Advanced Placement exam, was Elizabeth Bishop’s “Sestina,” which was to become at that moment, and remain, my first and favorite sestina. 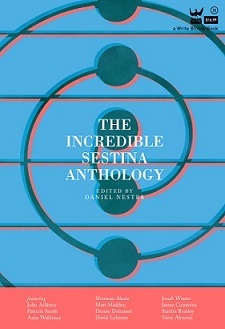 You’re written so many great sestinas. What got you started? What keeps you coming back (or are you sestina retired)? I love the sestina, but haven’t written one in 12 years. I’d love to again soon, when the mood strikes me! Let’s talk about your end words. “Rotisserie” in particular is not an easy work to repeat seven times, even in a recipe, and yet you pull it off. One pet theory I have is by having another end-word that rhymes, “gravity,” we get used to hearing it, or it balances out the language in some way. Or am I completely off-track? I guess you’re right, though I’ve never noticed the connection before! I guess my friend Lizzette, mainly, who is a true poetic inspiration–we have been best friends since the first day of classes at Oberlin College–over 25 years now! She is one of the spiritual, earthly guardians of my poetry! I would dedicate ALL my poetry to her. This entry was posted in Behind the Sestina and tagged Arts, Behind the Sestina, form, noelle kocot, Poetry, Sestina, The Incredible Sestina Anthology, why we go to couple's counseling. Bookmark the permalink.